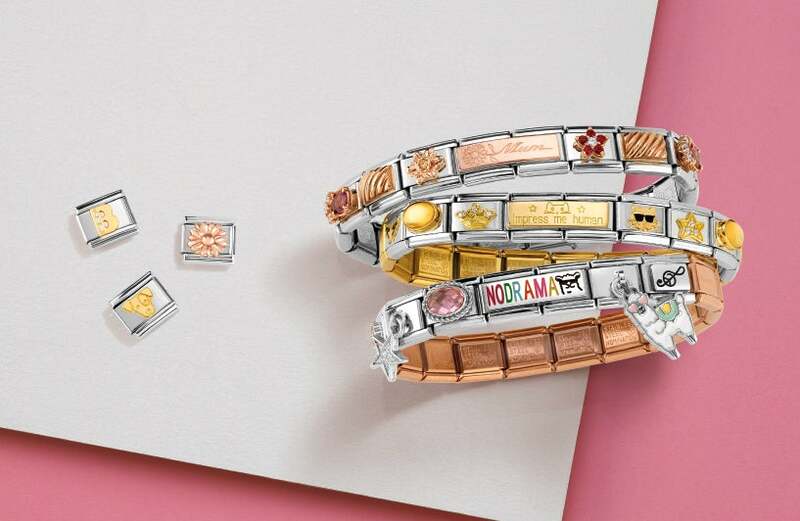 Add a little love to your bracelet with the Classic Rose Gold Charm Engraved with "Wonderful Mum" by Nomination. Crafted from polished stainless steel and 9ct rose gold, this charm comes pre engraved with a message of love. https://www.johngreed.com/nomination-classic-rose-gold-charm-engraved-with-wonderful-mum 115310 Classic Rose Gold Charm Engraved with Wonderful Mum https://www.johngreed.com/media/catalog/product/n/k/nk3793_0.jpg 15 15 GBP InStock /Women /Women/Charms /Women/Brands/Nomination /Women/Brands/Nomination/Nomination Charms /Women/Gold Jewellery /Men /Women/Brands Add a little love to your bracelet with the Classic Rose Gold Charm Engraved with "Wonderful Mum" by Nomination. Crafted from polished stainless steel and 9ct rose gold, this charm comes pre engraved with a message of love.